This good-sized neighborhood house opened in 1927, designed in Spanish Colonial style, and could seat just over 1750. The much smaller Beechwood was located just down Warren Avenue. The theater closed in the 60s, and saw only occasional use thereafter, closing for good in the early 70s. 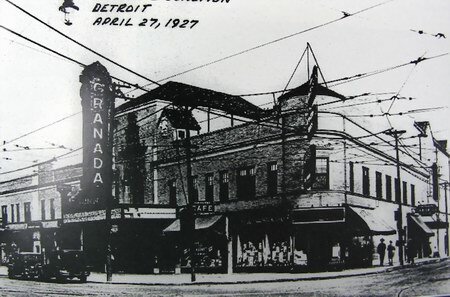 The Granada has since been razed. Cinema Treasures Link.